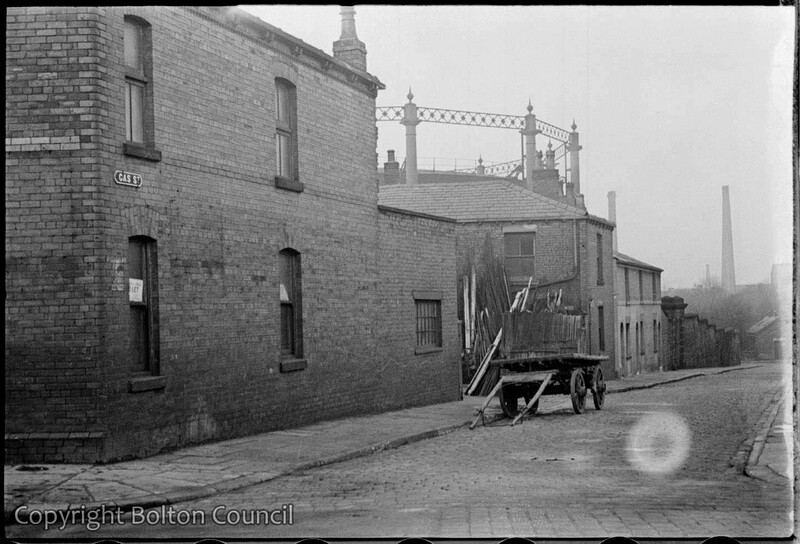 A wagon stands on Gas Street. I think that’s Gas Street, Farnworth, looking from Queen Street to Wellington Street. If it is, that will be Farnworth Mortuary in the background (single storey building) and the chimneys will be at Gladstone Mills on Gladstone Road, across Farnworth Park. Thank you David – it looks like a much more likely candidate. I’ve shifted the marker on the map marker accordingly.